What tools and techniques do you use to record and share your work? When developing video games or any visual application, we often find ourselves needing skills or tools that we didn't first consider. And because it can be so easy to get wrapped up in what WE can see (our code, our assets, our game design), we'll often ignore what others can see, (footage, screen captures, gifs). Which can be quite harmful if you're trying to drum up support for your latest project. Because saying that you're working on a game is good, but showing that you are is always better. /r/Unity3D has always been an open showcase for just that, with conversations moving onto what's being shown. But one useful question that doesn't get asked enough is, "How did you film that?" That may seem trivial to lots of you, but remember, I'm a mod and therefore an idiot. I actually don't know how all of you make those giffy things. What's a webm? How did you record footage for your trailer? How did you edit, save, and upload it? Etc. What tools and techniques do you use to record and share your work? Along with any tips, tutorials, costs, downloads, or social media concerns you might deal with? You may need to reduce the bitrate of the recording. It's usually the most common solution to random lag/stuttering. Anything above 10Mbps is overkill if you're just putting a 1080p video on Youtube. ShareX and Obs are exactly the same for me, but I use OneNote for screenshots since I use it all the time so I might as well leave it's screenshotter running. You can also find the most updated Recorder on our Unity GitHub. GitHub is more of an experimental version than Asset Store. For gifs, I've used the recorder to render out a few seconds of footage and tossed that in Photoshop using their animator window. Some social media can destroy gif quality, unfortunately. Hey Blaine, I'm glad your here posting useful links like this. Thanks, Blaine! I've been using the recorder for a couple of months now since finding out about it on Twitter. It's been fantastic for capturing little snippets of video which I then save into my 'Game Development' Dropbox folder. If I'm away from my PC, I'll export these video clips to my phone and then upload these direct to Twitter or Instagram. If I'm at my PC, then I'll use Imgur to make GIFs, usually for Reddit purposes. As a bonus, I like that it's not taxing on my fairly low spec PC and that I can choose whether to include the UI or not. I've been using the recorder for a while now. Coupled with Timeline makes for great shots of your scene. It's a bit annoying that you can't really recorder gameplay in high quality, due to long render time - But i took a few great 4k videos at 60fps with ease. Works on notebooks too. not for editor though, only builds. Ive kind of gotten around this by capturing a 1080p locked game window on a 1440p screen and then cropping while doing my edit or what ever after the fact. Works pretty good. I'm also using Shadowplay to capture gameplay, though recently I found that it seems to have some problems when it comes to small details. I'm working on a little SNES style side scrolling shoot-em-up in 256x224 pixel resolution (with camera zoom set to 200% for better visibility and to bring out the retro feel more). Recorded full screen, then cut out the 512x448 pixel area where the game is running. The result is ok, but not optimal. Compared to the actual game the recording is notably less crisp. Admittedly this is an edge case. I would advise you to capture uncompressed video at the native resolution of your game (with camera size 100%) and upscale the video to double-size with "nearest neighbour interpolation" on any video editing software. Repeat until you get close to 1080p and later upscale it to 1080p with any "smooth" interpolation such as lanczos or bicubic etc. (most video editing software should have a setting to choose interpolation algorithm) and add a pinch of "shapen" effect to the end result. I've found this to be the best way to capture "pixel" games. We make trailers in unity for a living (www.antimattervideo.com) actually helped unity with tech specs on the recorder. We use, gameobject recorder from unity for animations from gameplay, then timeline, cinemachine and umotion. Then use framerecorder to spit out 4k which we scale to 1080p. Is the framerecorder piece you're using the same thing as https://github.com/Unity-Technologies/GenericFrameRecorder? So can this recorder only record from within the Editor? ie: not the player? AMD has ReLive now which is a Shadowplay competitor that works well. Hardware capture is definitely the way to go. Otherwise, I've found XSplit works the best. QuickTime’s built in screen capture and iMovie for any edits beyond simple trimming. I’m sure there are better tools out there, but the price was right. I use Quicktime for quick clips and it works great, but do you have a way to capture the audio? There's a dropdown next to the record button that lets you select an audio source. This might not matter to you (or me even) but depending on what you are capturing for- Adobe is dropping support for the Quicktime 7 era codecs. I know most people are on more modern stuff- but worth noting if that kind of thing is your bag. I usually use ShareX for small recordings/Gifs and OBS for longer videos that need to be edited. I also use ShareX. To avoid constantly needing to set a new region, I defined a Twitter resolution that I simply switch to with maximize on play enabled. Then, I just use the record with last region hotkey. OBS to record, kdenlive to edit, gfycat to upload. I used VClip in the past, and I found Licecap much better to use creating higher quality Gifs! In a brief test, GifCam (by the maker of VClip) produced gifs that had fewer artifacts than VClip. Not sure how it compares to Licecap. Hah, just today I read somewhere on Reddit regarding this topic. I think GifCam looks great and will have to test it, it seems like a quick solution. And recording stuff with OBS as mp4 and then using Screen2Gif to convert creates highest quality stuff. I'll test both soon, because Licecap is quick, but its results aren't too smooth and have some artifacts occassionally. Oh, and I bumped GifCam's FPS up to 33 in my test (obv. it's not smooth at 10). OBS for recording, FL Studio (Producer Edition) for live audio EQ, Movie Studio Platinum 14 for final editing/rendering. OBS is free, actively developed, and has some great features for recording/streaming. FL Studio is great. It's total overkill for what I do for just recording YT video tutorials, but I use it for other things related to game development (tracks, sound effects, etc.) and I have a decent amount of experience with it. Movie Studio Platinum 14 is kind of garbage (only because of technical problems - featurewise it's great for the price). Editing, cutting, and adding text is a breeze. That's all I really ever need to do, and I also use it to render shorter clips that I throw on to Gfycat. I could also use After Effects for better titles and stuff, but I haven't done that for a while. I keep a custom stack of effects in FL for audio EQ that's recorded directly (live) using OBS. Of these three, all you really need is OBS. You can usually see all or some of these open during my tutorial videos on YouTube. In this example you'll see OBS and FL. I rarely render out actual GIFs, since I find Gfycat to be much, much better. I can just upload a video and it'll make a super compressed playable I can link to. I usually use Giphy Capture to share videoplay and gifs in Mac. Is simple and you can export in GIF and mp4. You even can add text as watermark. Actually, if you have a Windows 10 PC the Windows recorder is surpisingly amazing! I had no faith in it to begin with, I used to use OBS, but then I thought that I should try it and it was very smooth FPS and really high quality! Also for editing use OpenShot. It is free and open source so you can tailor it yourself, but you don't need to, it is good already. Just saying though, if your video is longer than 1 min and you don't have an above-average PC then it will lag a bit. Yup! I use the built in recorder as well! xsplit for me if I want to isolate an area though! ShareX for small clips and images that are automatically uploaded to my web server. I just use GeForce experience to record my gameplay. I use bandicam for recording (contains watermark on top though, 10min time limit per video) short videos. For gifs, I convert the short video online through any converter. Vsdc video editor (free) for further editing. I need to use any screenshot tool asap. LiceCap. Found that gifs usually have more views than videos, probably because gifs often autoplay and doesn't require clicking out from the current site. I tend to use bandicam, it's free and easy to use. Don't tend to make gifs, I use the above usually for short gameplay footage (up to about 10 mins). A pro version can be bought to remove the water mark and enable extra features. I've used GiphyCapture on OSX and ScreenToGif on windows for capturing short bursts of video in GIF form. Both are free and work really well! I've really taken to Screen2Gif. I used to use OBS, but it was too heavy to run on my laptop at the same time as unity, and I do most of my development away from the desktop these days. With Screen2Gif I usually just record some footage straight from the unity editor, sizing the window itself till it's how I want the final image to be. Pretty painless compared to what I used to do to get a gif from OBS footage. Everyone here is talking about using sharex for their gifs. But you should use webm instead. I took a quick gif that ended up being 500mb and took about 4 minutes for sharex to encode. Webm version was done encoding as soon as I stopped the capture and came in at 30mb. As many others here have said Ive played a bit with the Unity recorder in the asset store for vids. Old post, but ScreentoGif for gifs, Dxtory for video and Screenshot tool for high quality screenshots. Anyone got a tip for recording the screen on iOS?? Action! screen recorder, set area to game view. Been using Quicktime. Good idea too if you plan to release on app store. You can record the correct dimensions from your device and upload app previews with imovie. 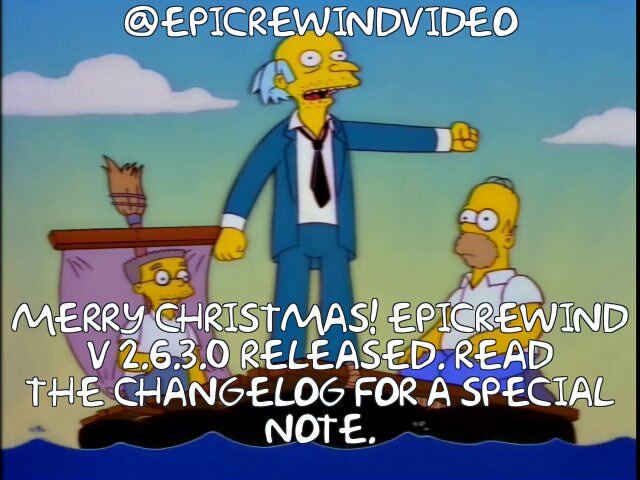 I use EpicRewind for both in-game and desktop regions. Direct to disk and instant replay (like Shadowplay but without being limited to certain hardware or Windows DVR without being limited to Windows 10). Buffers to RAM instead of harddrive for increased performance. Auto-uploads to YouTube if desired. Many other features too. I have used OBS. It works but is complicated to set up - depending on your machine's configuration. The recorder on asset store is good, and works with cinemachine as a recorder track also. But I haven't been able to get the audio to work. The Frame capturer on github works great and gave me similar results as OBS - both video AND audio- except this is from within Unity. Very simple to set up and the tutorial on the github page is quite self explanatory.I Just attached it as a component to the Main Camera and hit play (the play button on the component). Haven't tried this Video Capture free asset. Looks promising. I'd say the same about fraps. But I don't use it anymore because it doesn't work as well in development (Unreal warns you not to use it, Unity works better with screen area capture like VClip, it makes enormous videos that require re-encoding). Not sure if Bandicam has any of these problems. NVidia Share is the best imo, but if you don't have a supported GPU, OBS works. MP4s are pretty much the best output format that I've encountered (don't use GIFs!) and can be uploaded to FB, Twitter, IG and others. Windows Movie Maker to edit the clip. I use snagit to record my screen. I use an old document camera that I bought from my school when they were replaced to record physics explanations. I use iMovie to edit the videos. I use a Blue Snowball for a microphone. After trying many times with Nvidia/AMD encoders and x264 CPU encoding, both with OBS, and being sorely disappointed by the mediocre quality for PR/marketing use we decided to just go for a hardware solution. Since we as a studio come from a VFX background we were already using their excellent Resolve and Fusion (both of which now offer free versions even for commercial use) for editing and post. For screenshots and other capture work inside Unity we use our own capture tools. We use the Bandicam paid version for video capture, typically capturing to motion jpeg to alleviate some of the time sync issues when editing footage with high compression formats. We previously used Premiere CS6 to cut/edit but I've switched to Vegas Pro (got in on the great Humble deal recently) and my biz partner uses HitFilm Pro to edit. I personally love the hotkey workflow Vegas supports for ripple-edits. For screen capture we use FastStone Capture, which is great and has a lot of built-in tools (i.e. color picker, ruler, image editor with diagramming/drawing support, and even video capture at low frame rates - it offers a trial and lifetime license for $20). And for animated gifs, we just started using Screen to Gif (free and off-the-cuff it's pretty awesome). If you use anything that modifies your monitor like flux, make sure you disable that before working with textures or recording. Its imporant to neutralize your display while working in general. NVIDIA Shadowplay or AMD ReLive if you use an AMD GPU. I rout my audio interface with my DAW, split my output on the master channel with a VST so it goes into OBS where I capture video and audio. I use this often to make music production tutorials but plan on using it to share game dev as well. I just published my first game on Android, and just as you said i found myself in this exact situation when i realized i need to record the game play video for Google Play, so i used DU Recorder, worked incredibly well on my phone. To edit(i just cut a few pieces out) i just used the youtube editor after i uploaded the video. I often share gifs of my work with my team on Slack. I really like GifCam for making gifs. It makes sizing easy and purports to make small gifs. I use either OBS or Bandicam. Unity Bug Reporting on the Developer Dashboard is great for capturing screenshots with context. I use simple screen recorder to record (I use Linux). Then I use kdenlive live to edit video if needed. Obs for Video. ScreenToGif for Gifs, and our own home-brewed Unity C# Script for Screenshots. The screenshot script is nice because it allows you to increase the resolution, and save the screenshot directly to your device. It also enables your players to take screenshots themselves, if that is something you'd like to support. In Vaporum, we had our own capturing system that slowed down the simulation to maintain perfect frame-rate of the output. Other than that, we used GeForce Experience to capture video & audio. A decent free tool for screen shots is Greenshot. Works similar to snaggit, can edit and annotate if you wish or just copy paste or upload to specific places. I tried various software to capture gameplay footage for my game, both on windows and macOS. I ended up with buying ScreenFlick (I was quite intimidated by the "generic" name but) and it turned out to be the best capture software I've ever used. And it was the only one to be able to capture solid 60 or 30 fps without frame drops. OBS capture seemed fine at first but if you're crazy enough to watch it frame by frame, there were some repeating frames all over the place! And Unity Recorder was a total mess for me. Capturing from Editor is a nightmare! On Screenflick, default settings work fine but you can also tweak lots of parameters for the encoder you choose. P.S: Before gamedev, I used to be a professional visual effects/compositing artist working for years and I'm quite fond of all-around video stuff. My process is probably a bit over the top, but it's the same process I use for recording video courses. I use OBS for recording, even if it's for a gif. I'll usually edit the video in Premiere CC then bring it into Photoshop to output a gif. Nvidia shadowplay and adobe premiere if needed. You could use nvidia geforce if you have an nvidia card. Now it even has a tool to make gifs instantly. I use Greenshot for screenshots (FREE). You can select a display area to capture and it saves it directly to the clipboard with a key combination, then just paste it in your social media post. The easiest way for me. Settings: Output->Image format = png; General->Capture Region = [choose and use this combination]; Destination->[checkmarks on "SaveDirectly" and "Copy to clipboard"]; Expert->Clipboard formats = Device Independent Bitmap(DIB); I hope this helps! Good luck. I use OBS for recording demo videos, and GIPHY's app for creating gifs. For GIFs I use ScreenToGif, which even has a simple video editor built in so you can cut unwanted stuff (mostly form end/beginning when you start/stop the recording), for normal vids OBS and then editing it in KDEnlive (which finally has a windows version - labeled as experimental, but pretty stable anyway).